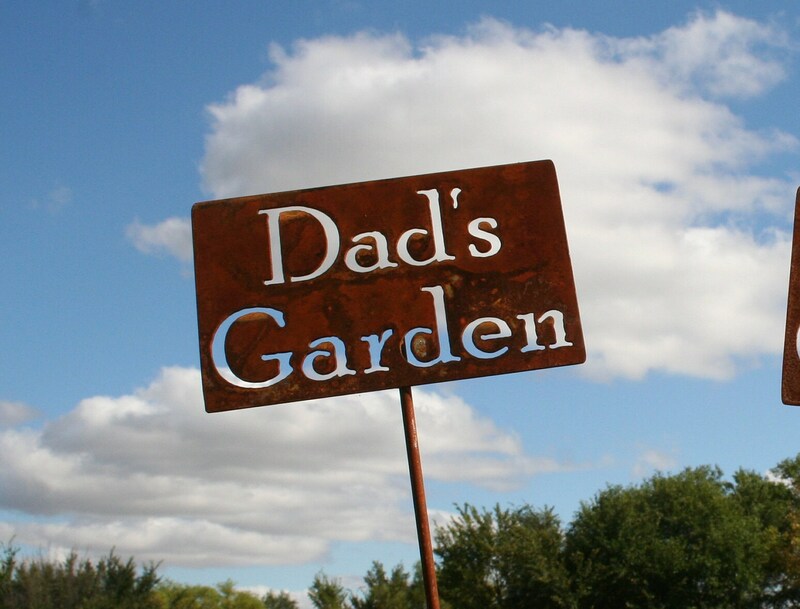 Dad's Garden Sign is the perfect gift! 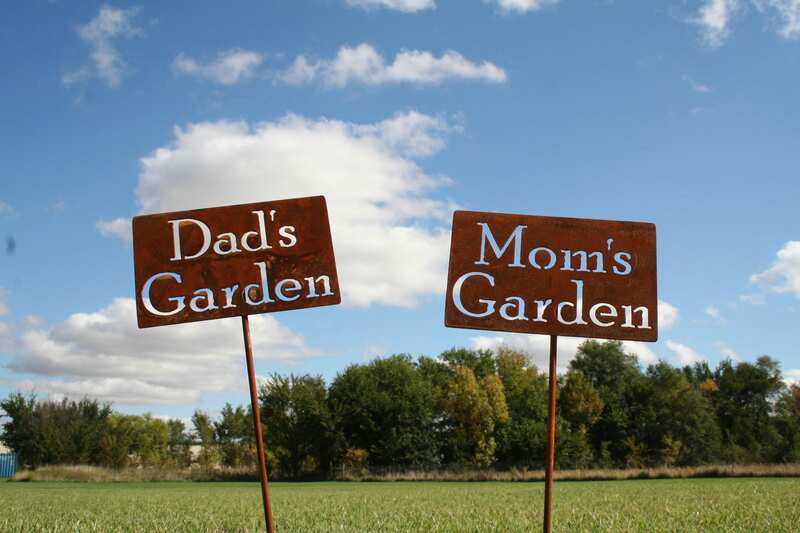 Choose several options from the drop-down menu -- Mom's Garden, Grandma's Garden or Papa's Garden are just a few examples. 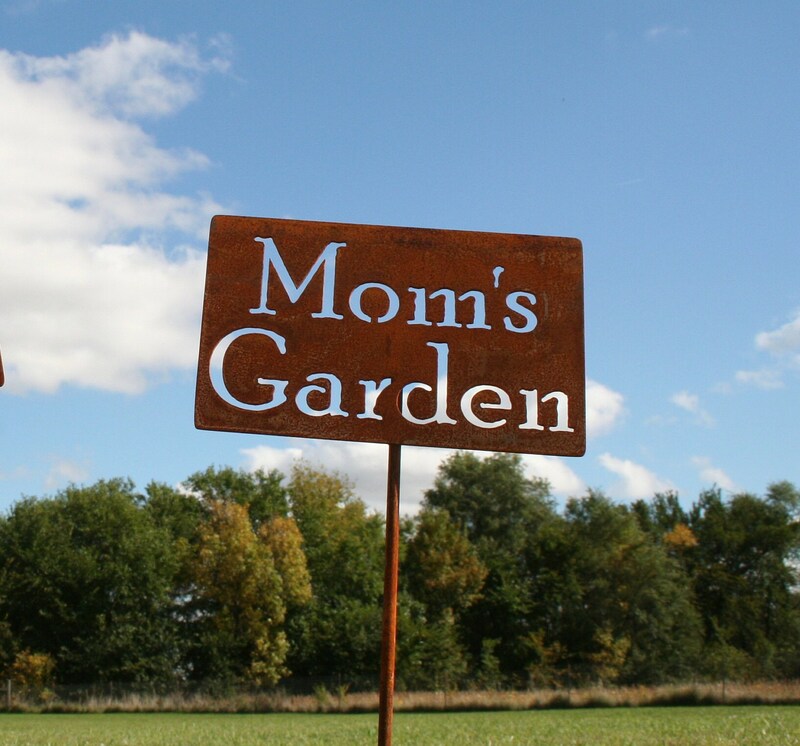 This special listing allows you to order ready-to-ship items for birthdays, Christmas, Mother's Day, Father's Day or any other special event! 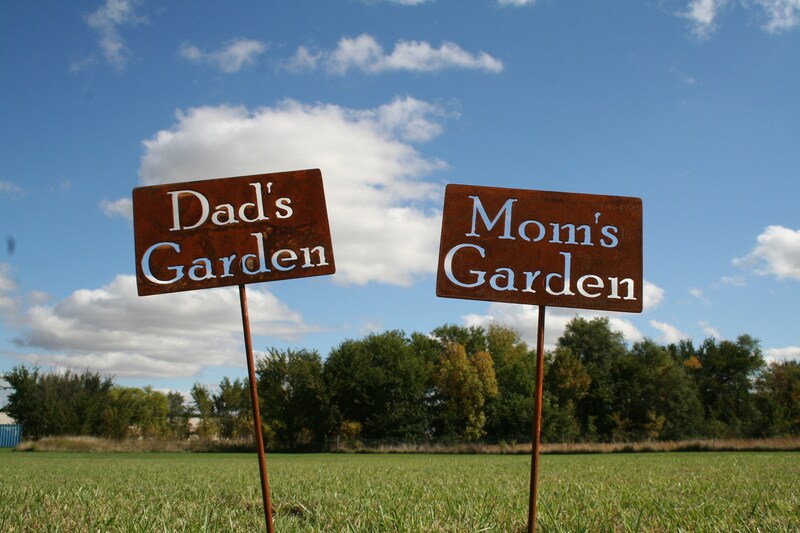 This rustic garden stake is easy to add to a large planter or place anywhere in the landscape or garden. It's large enough to stand out on its own but still fits into planters. 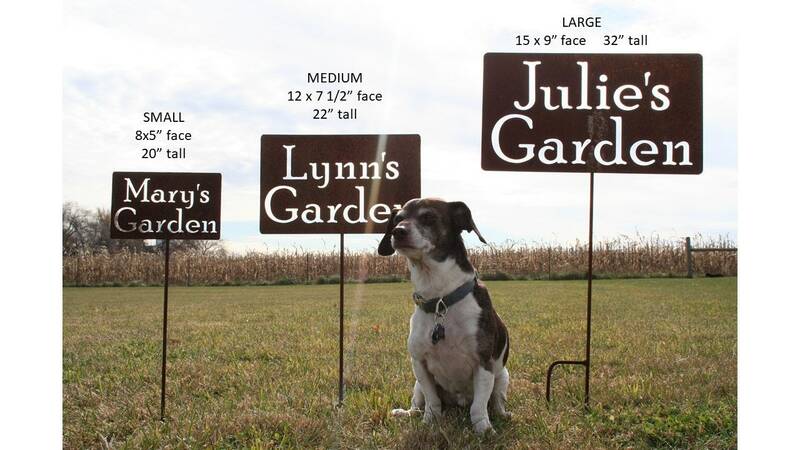 Garden Stakes are available in three sizes. Small 8x5" face, 20" overall. Medium 12x7.5" face, 23" overall. Large 15x9" face, 28" overall, upgraded kicker for support. The face of the stake is cut from steel about as thick as a nickel. 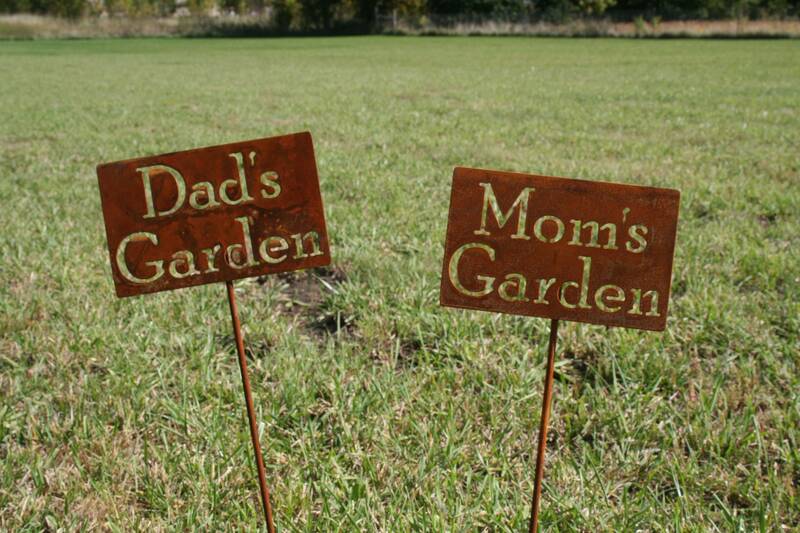 Signs have been pre-soaked and stored outdoors to begin the rusting process. The patina will only improve with age! FOR A LIMITED TIME! We cut many examples and sometimes extras with our Custom Stake orders. We've listed the example and surplus items here for you at a discounted price! ONLY the items listed are in stock. Prefer to customize with a name? Is your size sold out? 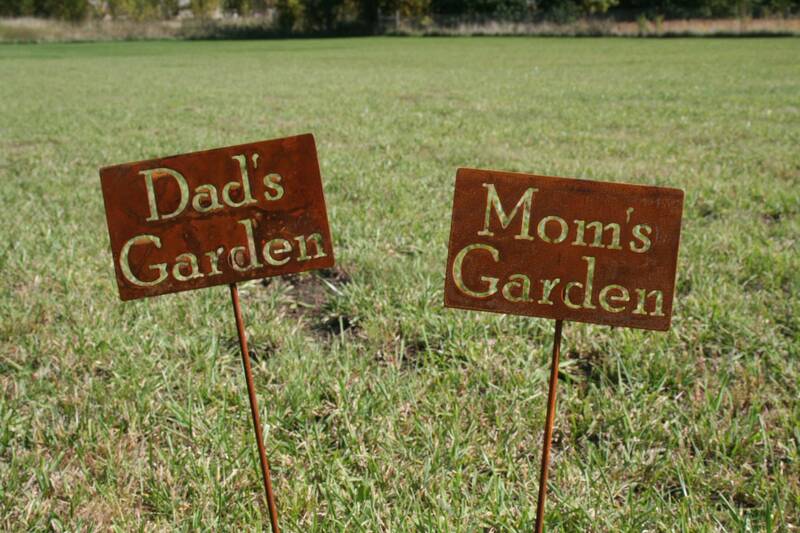 Order a made-to-order Custom Garden Stake with similar size options here. This was a special and loved gift!! Thank you!! Mom loved it! Thank you!